“#003 The Waiting room” which is composed of THE EUGENE STUDIO’s furniture collection is on view at Ginza Sony Park. From Nov 10th to Dec 20th, “#003 The Waiting room” which is composed of THE EUGENE STUDIO’s furniture collection is on view at Ginza Sony Park. Ginza Sony Park is an underground public space in Ginza. In the about 300㎡ space is filled with our studio’s furniture collection, produced furniture, objects, plants, book, and a piece of artworks. Please come visit the venue. The design of the Sony Building which closed in March 2017 was inspired by the structure of the Guggenheim Museum in New York, which houses a large collection of modern art. “#003 The Waiting Room” is the first experimental program to be held together with contemporary artists at Ginza Sony Park, which has opened for a limited time at the old site of the Sony Building. This third experimental program started from November 10th (Sat) is an outset of our co-creation project which invites an external artist. “The Waiting room” is an attempt to create “a space that blurs the boundaries of public and private”, in the public space open to the neighborhood in cooperation with THE EUGENE Studio, who is garnering major attention beyond the boundaries of areas such as art and design. 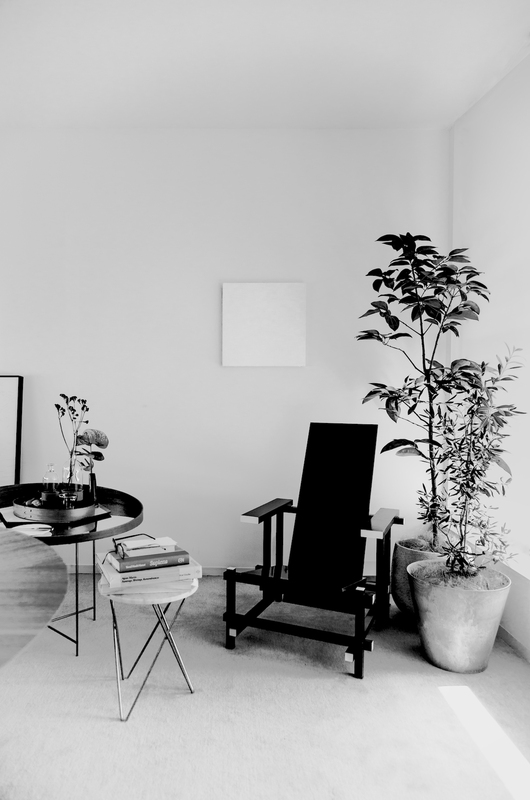 This space is comprised of private elements; what the studio normally uses and collects such as the furniture, valuable sculptures, flowers, books, and a fragment of the artworks, and spacial hollows and margins. This space that appears in an exceptional inorganic underground, which opens to the city is also a colorful everyday atmosphere of THE EUGENE Studio, even though their work leaves a minimalist impression. Meanwhile, this is a waiting room where everyone can use, and people can enjoy this venue as THE EUGENE Studio’s work exhibition at the same time. We hope you will step in “#003 The Waiting room”, and enjoy your own time or get cozy by having a rarely seen chair and a glass of water as margins of your daily life. Take a break from your daily routine and step into “#003 The Waiting Room.” Sit down on a valuable chair you might never normally have access to, have a cup of water, relax and enjoy some time for yourself. Duration ｜ November 10 (Sat) – December 16 (Sun), 2018 ※This program has finished. Member of staff may ask you to leave if you are using one simulator/app for too long. The details above are subject to change without prior notice. On the occasion of the exhibition, “#003 The Waiting room” which is composed of THE EUGENE Studio’s furniture and collection, a talk event of our studio and the CEO of SONY Co., Ltd. was held.